Once again, it is an intriguing effort from Equipo Navazos. Slightly dark in colour with hints of brown and green, it has a very mineral, sea air nose to it – maybe just a little bit of hay bale as it warms in the glass. Once you take a sip though there is no missing the yeasty power of it. It is super smooth in texture – I thought it was silky and it coats the mouth. It has an amazing structure – acid and salt to begin but powerful vegetable and umami flavours like unsalted macadamias. It also has a lovely long finish, with the salty minerals dropping off and leaving the umami. 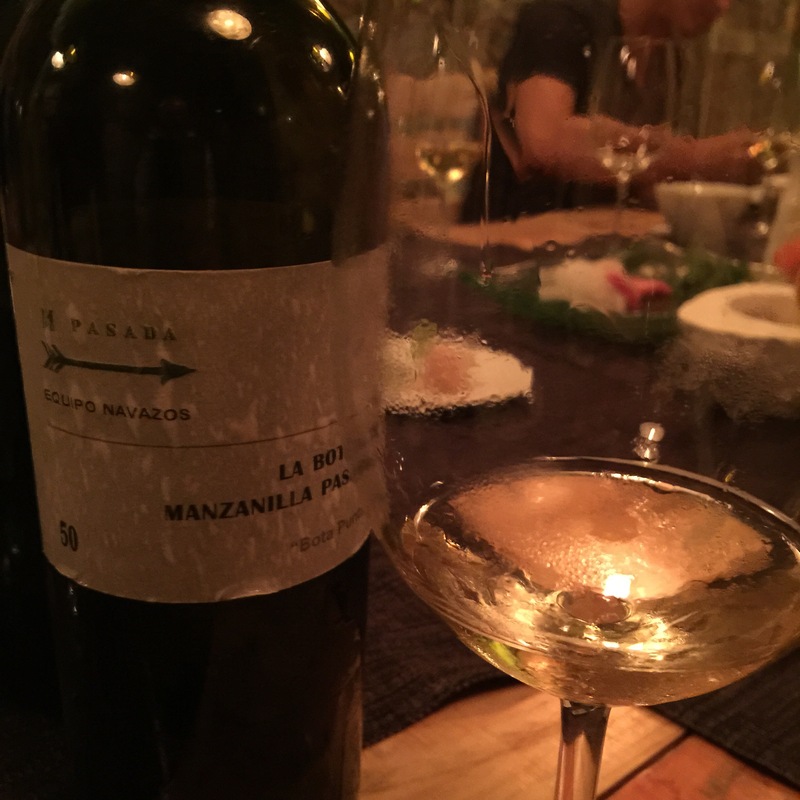 Really excellent – probably the best manzanilla pasada I have had.